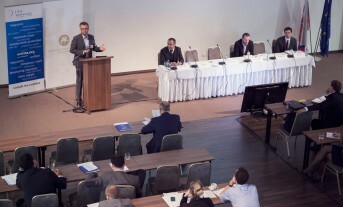 ...organized by The Central European Labour Studies Institute (CELSI), Institute for the Study of Labor (IZA) and National Bank of Slovakia (NBS) on October 20-21, 2014 in Bratislava, Slovakia. In the session „Wage Setting and Price-Wage Interactions,“ Piotr Lewandowski presented their paper “What if you were German? – DSGE approach to the Great Recession on labour markets” (IBS Working Paper 01 / 2014) identifying mechanism between diverging labour market outcomes across the studied European countries, and arguing that differences in the relative importance of wage and employment adjustments distinguishes Germany from many countries, especially Spain and Greece. The keynote speeches were given by Klaus F. Zimmermann, director of IZA and professor at Bonn University, and Jordi Galí, director of CREI and professor at Universitat Pompeu Fabra, Barcelona. 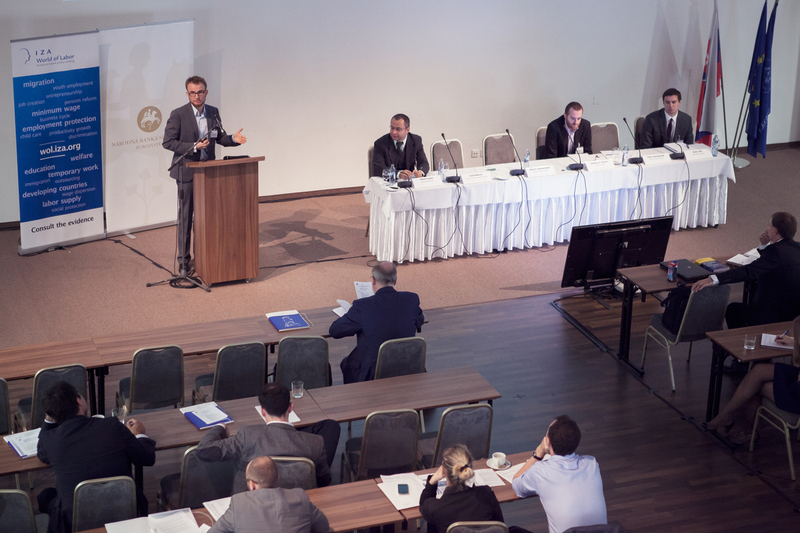 Among others, Andrea Raffo (Federal Reserve Board), Christian Merkl (IZA), Andreas Wörgötter (OECD), Michał Rubaszek (National Bank of Poland), Patrick Puhani (Leibniz University of Hannover) presented their research at the conference. You can read the full recap of the conference at CELSI website.